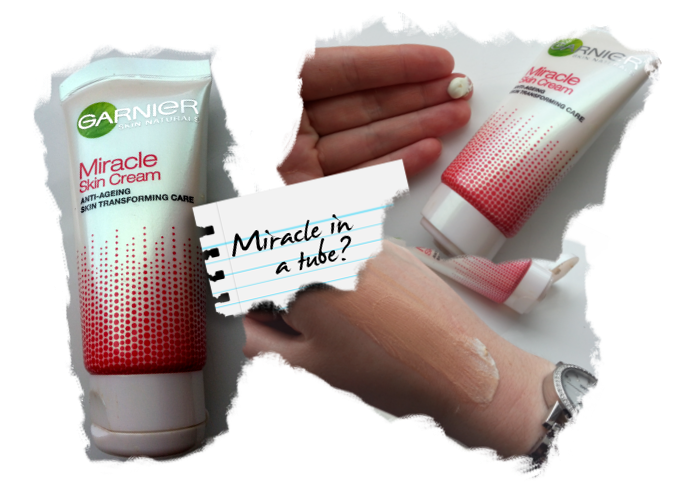 The Beauty Scrapbook: Miracle in a tube? When I hear or read the word 'miracle' my mind is filled with wonderful images of miracle healings, crying statues and me posting regularly. Get it? You know, because I haven't been posting for a while. So while you're rolling around the floor laughing at that last joke (can it even be classed as a joke?) 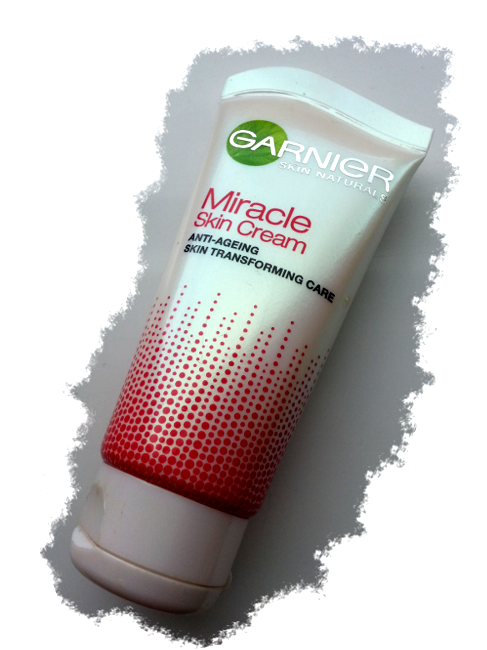 that I cracked, let me tell you all about Garnier's Miracle Face Cream. But seriously, using the word 'miracle' to describe a beauty or skincare product is bold, very bold indeed Garnier. I didn't let myself get too excited about this product as I failed to understand what could be so miraculous about a little tube of face cream. Boy, was I wrong. The actual creams appears white at first and looks just like any other moisturiser, but as it is blended into the skin it turns into a skin-like colour that provides just a hint of coverage that subtly reduces the appearance of fine lines, discolouration and evens out skintones ever so simply. It also leaves the skin leaving hydrated, soft and nourished. This is the perfect product for those excellent skin days that don't require much coverage or for use under your foundation. It isn't technically a primer, but when tried as one I found my foundation did cling to it rather well and it provided a very subtle glow that I wouldn't have achieved with my foundation alone. 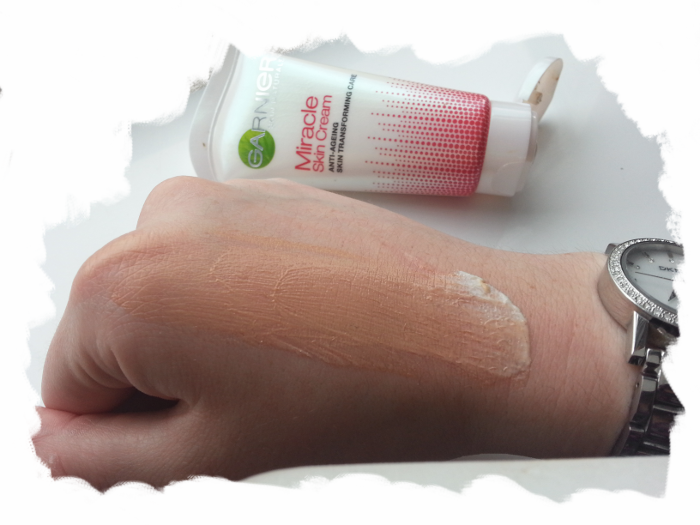 Unfortunately, when I'm at my palest the colour of this cream is slightly too orange for me. I think this product is best suited to those with more olive toned skin. It's definitely a great staple in my stash for summer though. This cream has quite a strong scent as well so be wary if you're sensitive (not in an emotional way). My boyfriend thought I was wearing aftershave when I put this on just to give you an idea of how strong it is. As I type, I can still smell it even though I only had a smear on my hand as you can see. Priced at £11.99 I would strongly advise adding this baby to your collection for the warmer months. I was thinking about getting this because it sounds amazing but I'm so glad I read your review because I have very pale skin so this would probably not work for me. 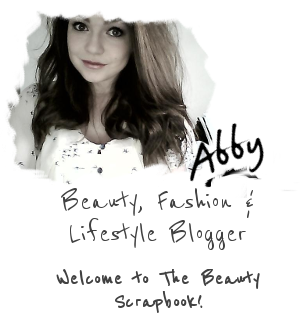 Just started following your blog :) I would be glad if you could check out my blog too! 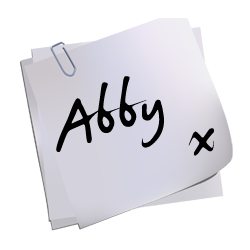 It's just a shame there isn't a lighter version, glad I could help :) I most definitely will!